A 14-year-old boy has been charged with attempted murder after a teacher was stabbed at a Bradford school. 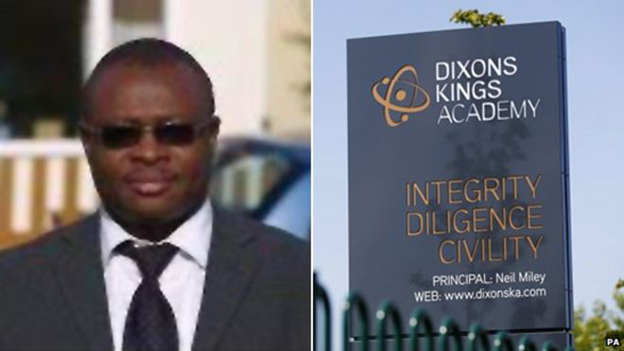 The teenager had been detained after supply teacher Vincent Uzomah, 50 was attacked at Dixons Kings Academy on Thursday. Mr Uzomah was stabbed in the stomach with a knife but is stable in hospital, police said. The boy, who cannot be named for legal reasons, is due before Bradford Youth Remand Court on Saturday. It is thought Mr Uzomah, who is married with two children, had only been working at the school for four weeks. Friends and neighbours paid tribute him, with one family friend saying members of the Nigerian community in West Yorkshire had been left "really distraught" by the attack. Mr Uzomah's neighbour June Hayes, said: "He is a very gentle and loving and caring man. "I'm just so sorry this has happened to him."